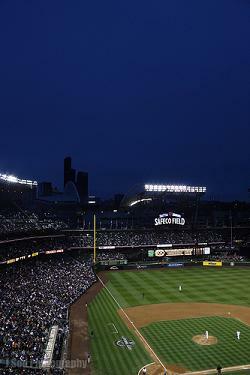 Safeco Field is a retractable roof baseball stadium located in Seattle, Washington. It is home for Major League Baseball’s Seattle Mariners. It replaced the Kingdome, the previous home of the Mariners. 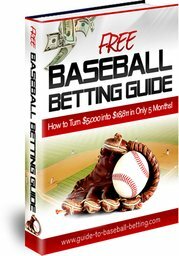 In the early 1990’s, the owners of the Seattle Mariners threatened to take the team elsewhere if the government did not finance the construction of a new stadium. Their threats worked and they had a new stadium in 1999. Safeco Insurance purchased the naming rights to this ballpark in 1999. They own the rights for a period of 20 years for the total sum of $40 million. 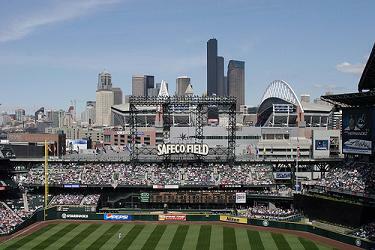 The ballpark's location is the SoDo district in downtown Seattle. It has a parking garage and there is private parking as well. Public transportation is also available. A team store located inside the stadium sells a wide variety of Mariner-themed items. There is even an embroidery station for custom jerseys. You will also find kiosks throughout the park selling merchandise. If you like a tour of the Mariners' home ballpark, you will find their admission charges reasonable. The comprehensive tour starts at the team store and goes through the back area of the ballpark to the dugouts. Safeco is one of the few MLB ballparks with a retractable roof. One unique thing about the retractable roof is that it only acts as an umbrella. The architects did not design the roof to control the climate as at Chase Stadium in Phoenix. Although Seattle has a mild climate, like Vancouver, it rains a lot. When the government deemed it necessary to replace the Kingdome with a new stadium, they appointed a committee in March of 1994. This committee advised the King County Council that the public should finance part of the stadium. As a result, the government held a vote to increase the sales tax by .01% in 1995. However, the public rejected the tax increase. In 1996, the King County Council contacted the Mariners in writing to state their views against public money being involved in the funding of the new stadium. The owners of the Seattle Mariners threatened to take the team elsewhere. The public, after the Mariners won the American League Division Series, became more interested in keeping the team in Seattle. Thus, the Washington State Legislature approved alternative means of funding the stadium. The Mariners held the groundbreaking ceremony for the new stadium on March 8, 1997 just south of the Kingdome and completed the construction in July of 1999. On July 15, 1999 the Mariners played their first game at Safeco Field against the San Diego Padres. The Padres won the game 3 to 2. Before the opening of the new ballpark, Safeco Insurance purchased the naming rights for $40 million over a 20 year period. Like many of the ballparks built in the 1990s and onward, Safeco Field is retro-modern style ballpark surrounded by city streets and buildings. It blends features reminiscent of the 1950s with up-to-date technology. Safeco Field features a brick exterior, an asymmetrical and natural grass field, and great views for the fans from all areas of the park. Safeco is not as friendly to hitters as the old Kingdome. Its larger field dimensions make it much more friendly to pitchers. In 2010, the Mariners installed a new LED version of the out-of-town scoreboard that also provides pitcher information. It will also display scores for other sports when seasons overlap. The field dimensions for Safeco Field are 331 feet down the left field line, 405 feet to center field and 326 feet down the right field line.